I ONLY accept FREE to join sites that accept signups from ALL countries. We will send you 20 guaranteed signups to your website or link. All signups come from real people. The website must not contain pornographic, racist, discriminating, vulgar, and illegal materials of any kind. 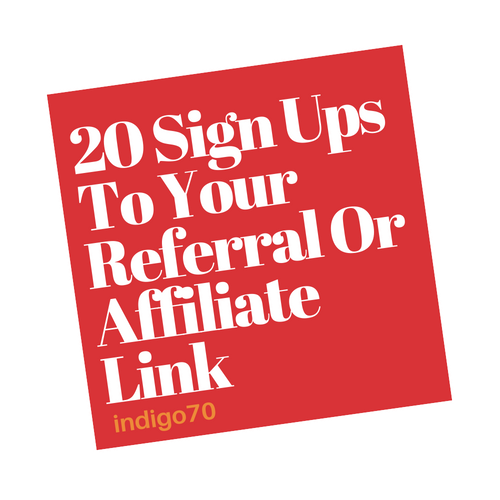 20 Sign Ups To Your Referral Or Affiliate Link is ranked 5 out of 5. Based on 6 user reviews.